First published in 1985, this book draws together the author’s artistic with analytical practices which had been developed over many years of sociological enquiry. It interprets a ‘work of art’ as a site on which a viewer or critic is invited to share in questioning celebration of the painting itself. 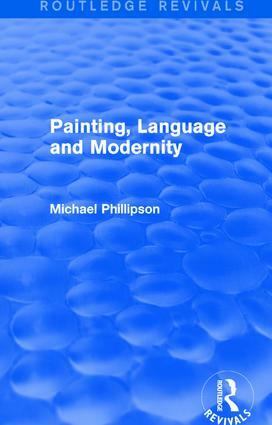 The author reassesses modern painting’s relation to its own origins and to tradition in light of the emergence of ‘postmodern’ practice — exploring its engagement of fundamental questions about language and being. Also assessed is the relevance of the metaphors of writings and Reading to an understanding of painting and viewing practices — looking at painters’ writings as well as phenomenological and post-structuralist writers.